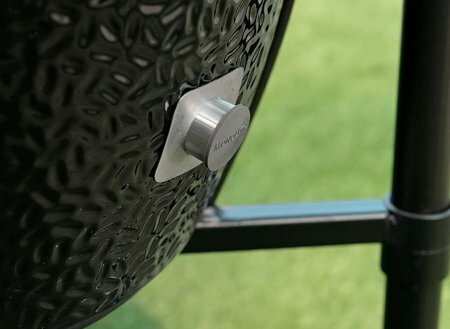 The Monolith is made of extremely heat-resistant ceramics and high-grade stainless steel. It has two practical side tables made of bamboo. The stand, like most of the metal fittings, is made of high grade stainless steel. 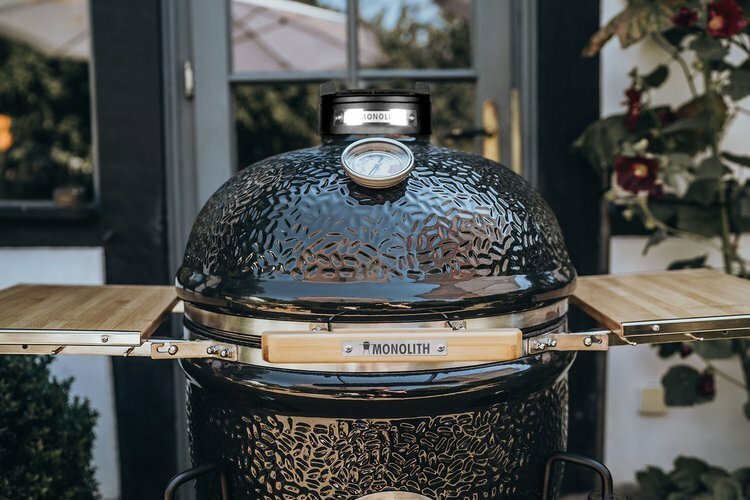 Due to the very good insulation of the heavy ceramics and the ingenious regulation of the air supply, you can control the temperature in the Monolith, unlike any other type of grill. 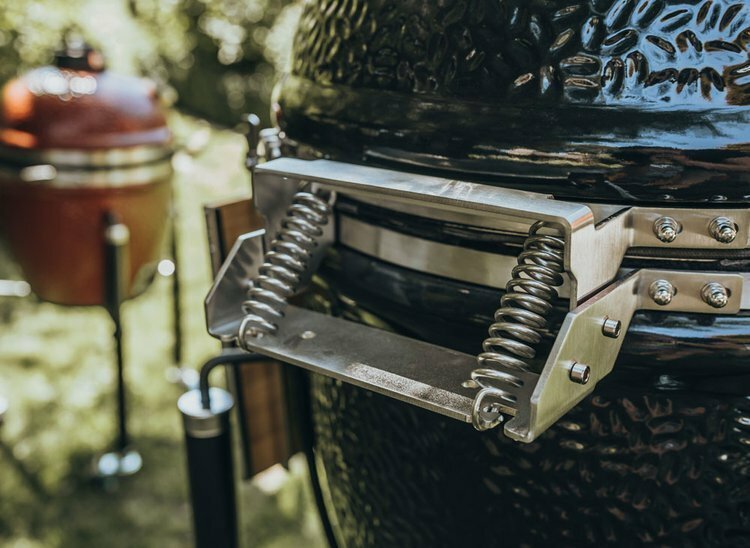 The consumption of charcoal is around 25-50% of that of a normal grill.No matter whether you need very high temperatures to grill the perfect steak or smoke a large amount of meat for hours on low temperatures. The Monolith is also the perfect stone oven for baking pizza and bread. 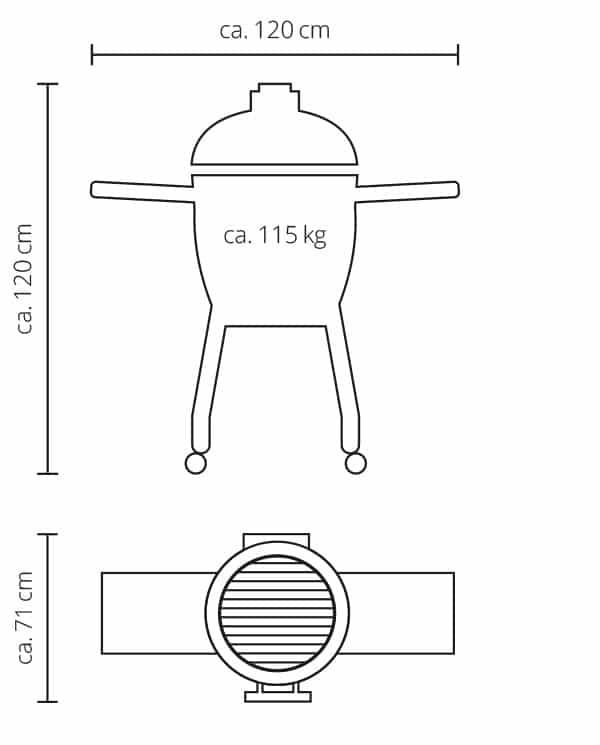 The temperature range of Monolith grill is between 80 °C and 400 °C. Benefits: Very good temperature controlDue to the good insulation the ceramic, the heat is sustainable for hours, and the consumption of charcoal is very low. 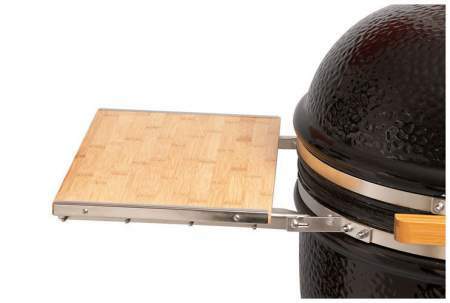 The minimal amount of air circulation prevents the grilled food from drying out. Very wide temperature range. The outside temperature is much lower than that of a steel grill - there is little risk of burn injuries. 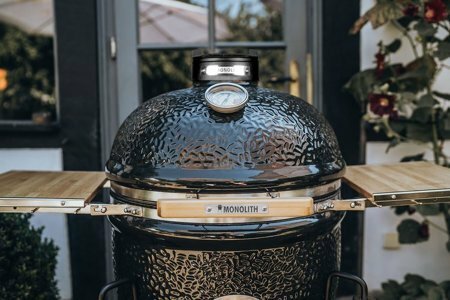 The extremely heat-resistant ceramics and use of high quality stainless steel allows you to use the monolith, even in winter.Reaches the acquired temperatures quickly. Due to the extremely high temperatures reached, the monolith is virtually self-cleaning. Just after grilling turn up the temperature to the maximum. Then the remains of ash and residues of burnt grease can easily be swept away.